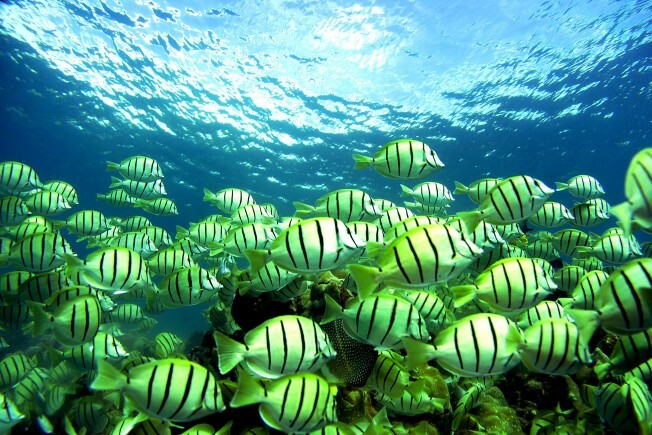 A school of manini fish pass over a coral reef as a snorkeler swims over at Hanauma Bay in Honolulu, Hawaii. There are only about 300 parking spaces available so guests should plan to arrive early if they want to drive to the bay. There are also tourist shuttle busses from Waikiki that operate daily.